New jazzy and sleek looking capo finished in black chrome! Thenew roller mechanism of the Standard Shubb capo provides ultimately smooth operation. The new roller further reduces wear, while adding smoothness to the opening and closing action. 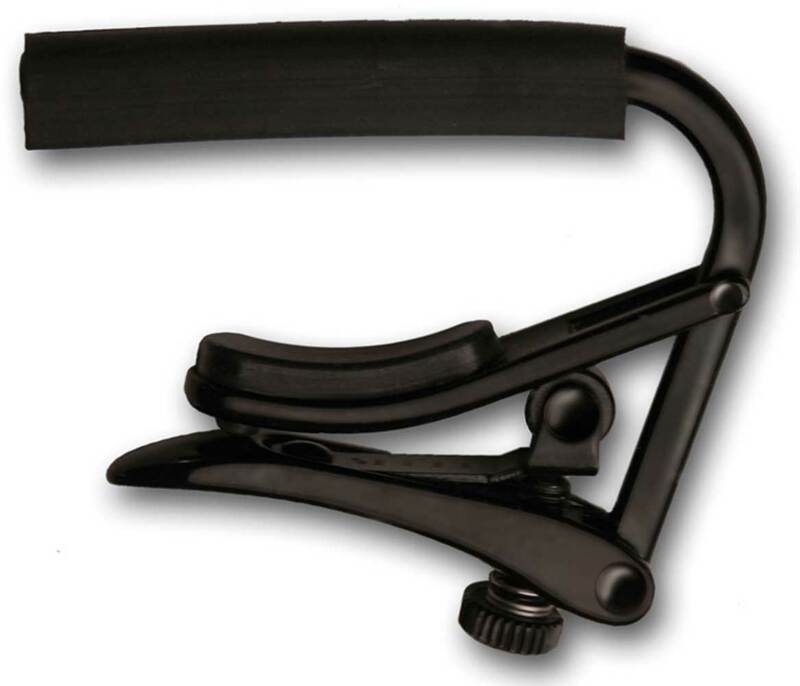 Introduced in 1980, the Shubb Capo is the choice for musicians worldwide. A patented locking action provides an unrivalled combination of power, speed, accuracy and ease of use. One smooth flip of the lever locks it securely in place and removes it just as quickly. With the Shubb capo are no tuning problems. Its soft, resilient rubber doesn't bend the strings over the frets. Its closing action is just like your hand, so it doesn't pull the string off center. As a result, no re-tuning is necessary.